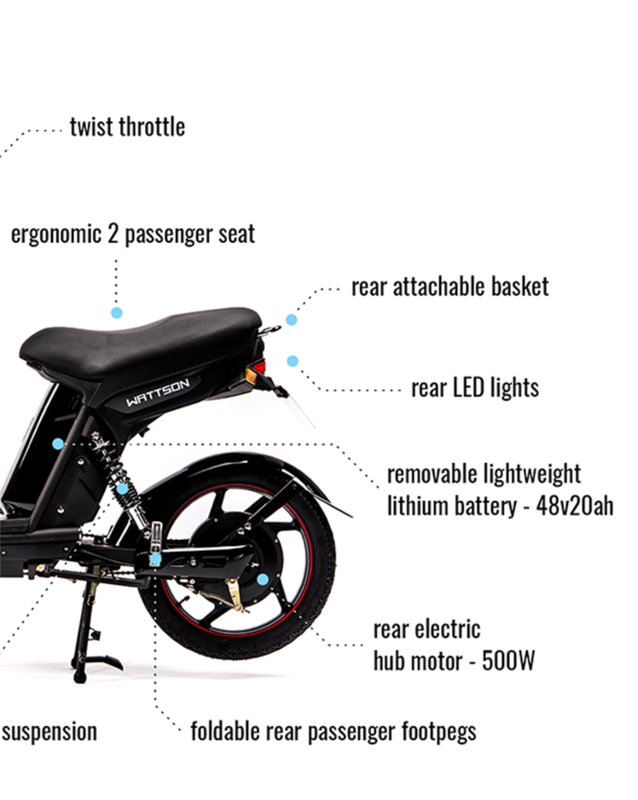 Wattson Spark | Part bike, part scooter, all electric. Watch our highlight video below for an overview of all benefits. 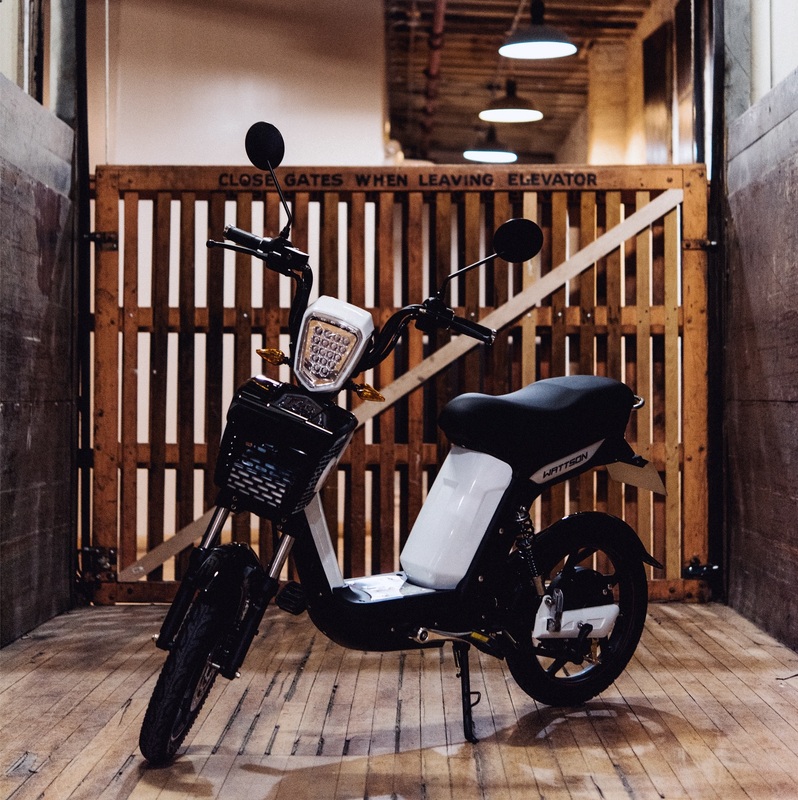 "It's like a bike and a scooter had a baby." 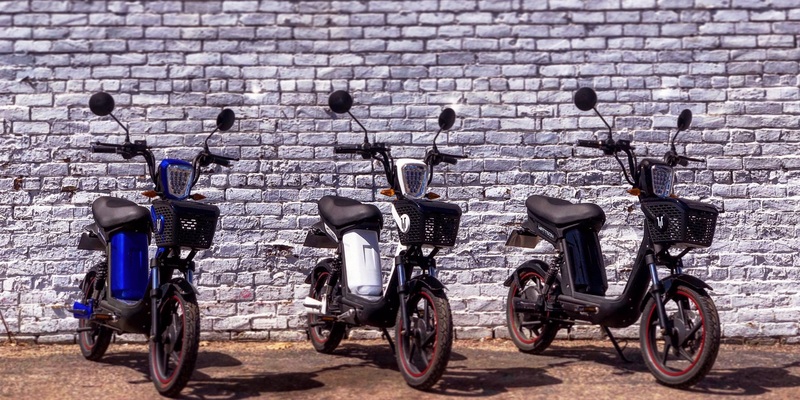 Want an electric bike but don't feel like pedaling? 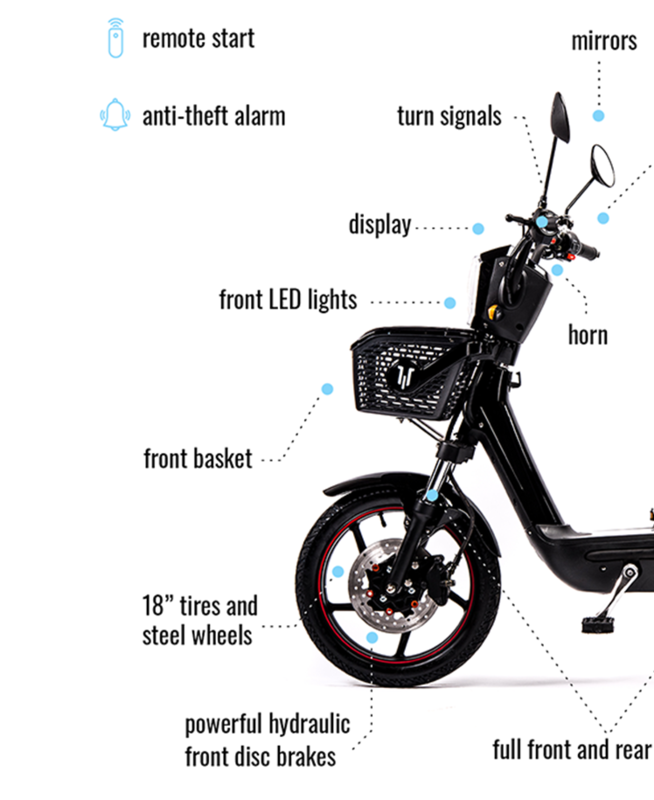 Want a scooter that can ride in the bike lanes and skip traffic? 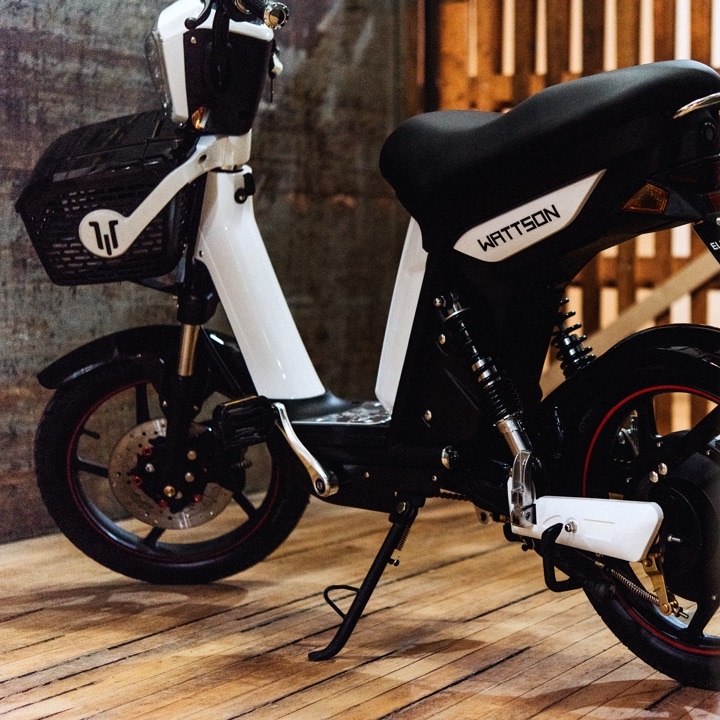 The Wattson Spark is an electric bike-scooter hybrid that features the best of both worlds. 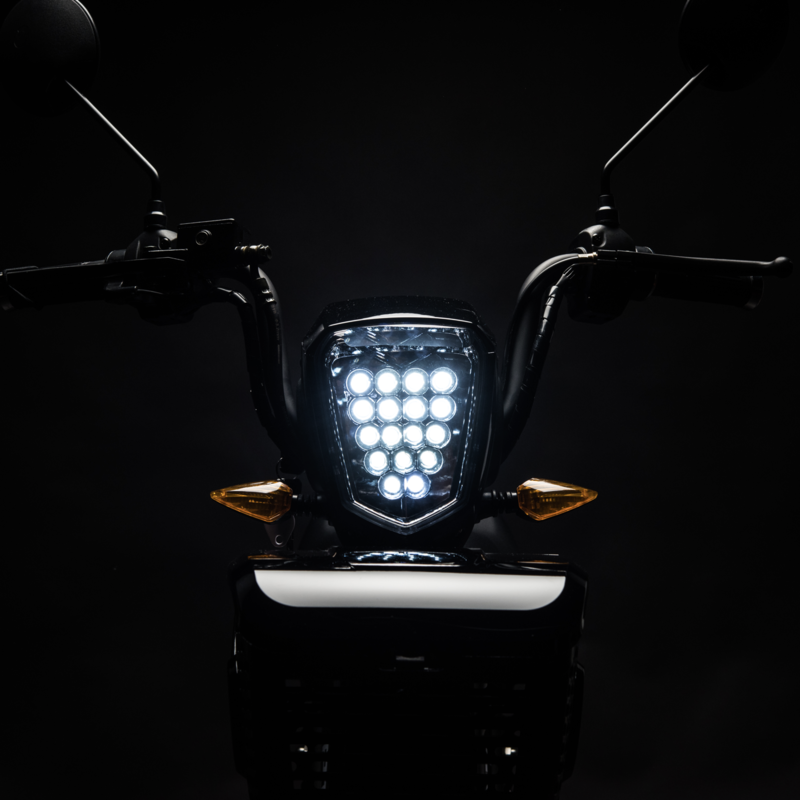 It's as easy to ride as a bike, with speeds of 20mph (26mph off-road) from the powerful 500W motor that makes acceleration instantaneous. 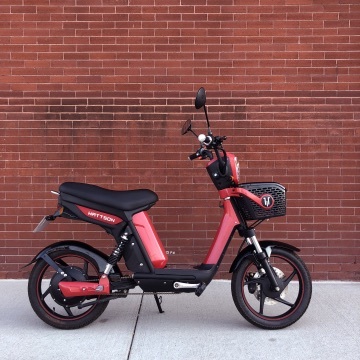 You can get 35 miles per charge from the lightweight (11lbs) 48v20ah lithium battery. Pedaling is totally optional but if your battery dies, you can always pedal home. 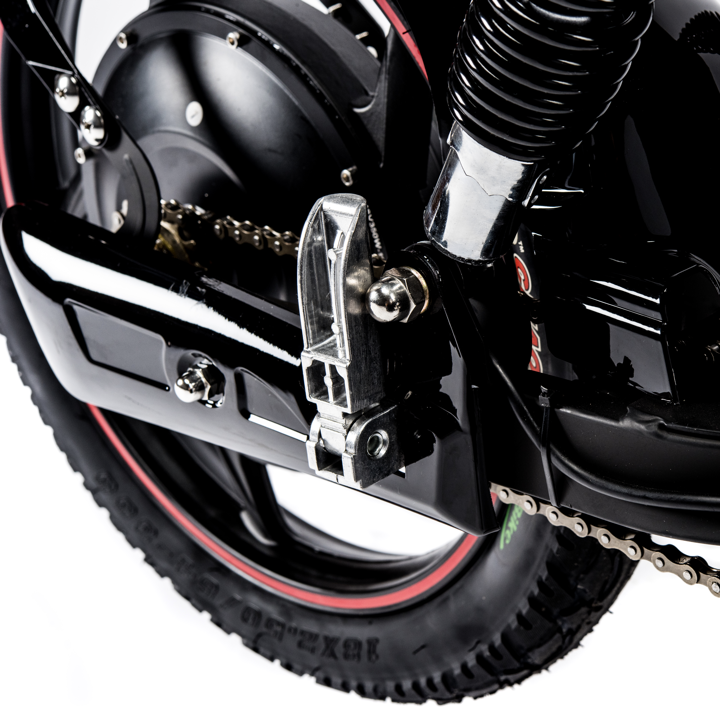 Full front and rear suspension keep the ride smooth and comfortable on nearly all road conditions. 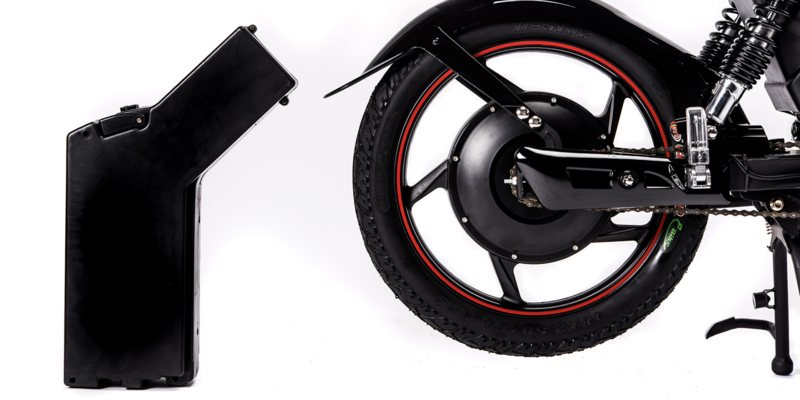 The large ergonomic seat fits two passengers and even has rear footpegs, so feel free to invite a friend. 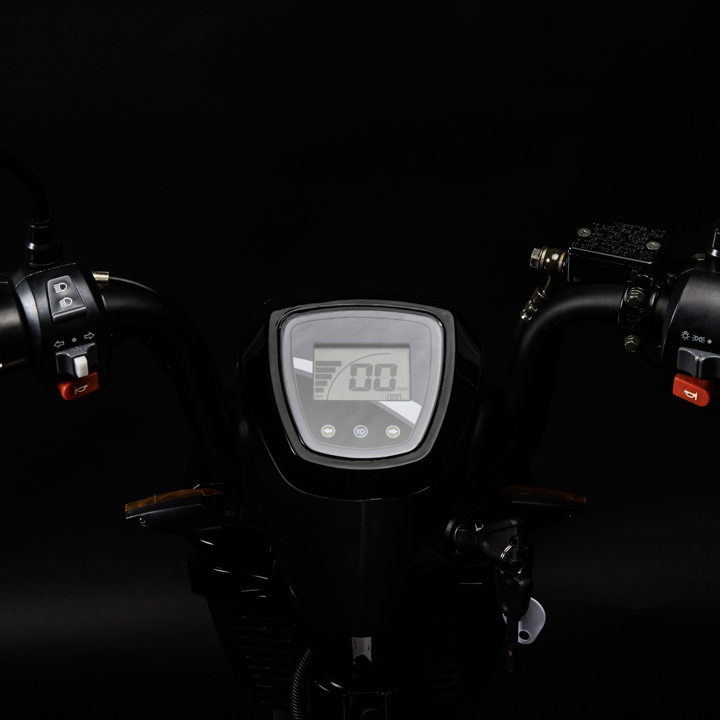 Headlights, brake lights, turn signals, mirrors, horn, and anti-theft alarm keep you safer than any traditional bicycle could ever dream to. There's also a front basket to carry your everyday things. If you need even more storage, an optional rear storage bin can be attached. You're going to love the way it rides. Some assembly required. Instruction manual included. Video guide available online. ﻿Currently back-ordered. Delivers in 2-3 months from order date. View our live 3D model of the Wattson Spark and it's features. *The 3D model is extremely high resolution so please allow some time for it to load. We recommend viewing on a computer.